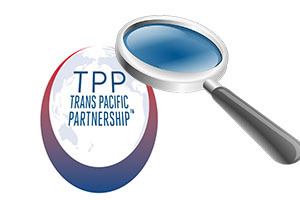 This is the tenth in a series of articles Interest.co.nz has commissioned reviewing the key chapters and issues for New Zealand in the Trans-Pacific Partnership Agreement (TPPA). Links to all the analysis in this series are below. Goods must often meet minimum standards before they can be sold. In some cases, these are safety standards. For example, Radiata Pine must be treated to prevent rot before it can be used in housing construction. In other cases, these standards relate to product labelling and consumer information, such whether an alcoholic beverage must prominently display the alcohol content. These standards can affect international trade. Different countries have different standards, and demonstrating conformity to a specific country’s standards can impose significant costs on exporters. More importantly, regulations and standards can be abused in order to protect domestic producers – much like sanitary and phytosanitary provisions. Chapter eight of the TPPA (Technical Barriers to Trade, or TBT) addresses these kinds of conformity measures. The chapter obligates Parties to permit transparency and participation when setting their standards, so that foreign exporters can easily understand why their products will or will not comply to specific standards. It also requires Parties to recognise conformity assessors in other countries. For the most part, the chapter does not explicitly undermine a Party’s ability or right to set standards, although there are some exceptions covered under product specific annexes. In addition, the chapter does not apply to sanitary and phytosanitary measures, which are covered separately in chapter seven. Parties will be obligated to allow for transparency and participation in the development of standards. Article 8.7 states that parties “shall allow persons of another Party to participate in the development of technical regulations, standards and conformity assessment procedures by its central government bodies on terms no less favourable than those that it accords to its own persons”. This means that foreign exporters will be able to make submissions when our regulators make changes in standards. It also means that our exporters will be able to have their views heard when our trading partners make regulatory changes. Article 8.7 also requires that Parties publish proposals for new technical regulations and conformity assessments. These proposals must contain sufficient detail so as to adequately inform interested persons and other Parties about the extent to which their trade interests might be affected. Conformity assessment bodies (CABs) act as the gatekeeper between producers and consumers, ensuring that various products meet the required standards before they are sold. For example, local Councils typically require BRANZ to certify building materials before they can be used in housing construction. In general, conformity assessment spans a variety of activities, including testing, auditing, and certification. Under Article 8.6, Parties will have to apply the same set of criteria to domestic and foreign CABs within the TPPA when conferring accreditation. This is a step further than their current obligations under Article 6.4 of the World Trade Organisation (WTO) TBT agreement, which only encourages members to permit participation of CABs located in the territories of other members. This means that the CABs of other TPPA countries will be able to determine whether products exported to New Zealand pass our conformity standards. The flipside is that our CABs will be able to determine whether goods manufactured here meet the standards required in our TPPA export markets. We already have many of these so-called mutual recognition arrangements in effect. That ubiquitous “CE” symbol you see on products ranging from laptops to light bulbs indicates that the product meets European Conformity standards. And New Zealand conformity assessment bodies can certify products made here in New Zealand for European Conformity, making it easier for our firms to export to Europe. There are eight specific product annexes to the chapter that either encourage or set uniform standards across TPPA Parties. The products are: wine and distilled spirits; information and communications technology products; pharmaceuticals; cosmetics; medical devices; proprietary formulas for pre-packaged foods and food additives; and organic products. The annex on organic products applies to countries that are developing or maintaining regulations regarding the production, processing or labelling of products as “organic”. The annex does not set uniform standards for what specifically constitutes an “organic” product, but it does encourage Parties to work together to encourage mutual recognition of organic labelling. Barriers to trade protect domestic producers at the expense of consumers. While New Zealand has already unilaterally eliminated the bulk of its tariff barriers to trade, there are still many non-tariff barriers to trade on the books. Technical barriers to trade are one of them. Let’s view this issue through the lens of our local obsession here in Auckland: Property. Most of the exorbitant price of property is due to the land that a dwelling sits on. But by international standards it is still darn expensive to build a house here in New Zealand. The Productivity Commission and the Ministry of Business, Innovation and Employment (MBIE) blame a number of factors for the high cost of housing, from a lack of economies of scale to the high cost of building materials. Take a look at this interest.co.nz summary of the initial MBIE report comparing the costs of materials here to those in Australia. Part of the reason that materials are so expensive are the compliance costs associated with meeting our safety standards. You may not have to pay any tariffs if you import cheap windows from the US, but you’ll be lucky if the local council will allow you to put them into your house without BRANZ certification. If it is too difficult or expensive for a newcomer to demonstrate that a product complies, then established players in the industry are sheltered from competition. And that ultimately allows them to charge high prices. The TPPA should make it easier for foreign manufacturers to understand and comply with our domestic building codes. Although there is already interest in our building sector from some international heavyweights like Knauf, just the threat of increased competition is often enough for protected firms to lift their game. With Auckland needing an additional 40,000 dwellings, we could do with some more competition in the building materials sector right about now. I find that most manufacturers do not want to spend money on compliance then wonder why their product doesn't sell well. In the last week I've had a German product that had not been tested for compliance here. Most manufacturers and suppliers provide products that sell but outside of residential use they can't demonstrate that they are fit for purpose. They can get the testing done at BRANZ but a recognised testing facility would also suffice. It's more of a cost issue versus a small market. There is also an enforcement issue, if it's not enforced by the local Council no one will ask for the appropriate information to be supplied. Stepping outside the test regime for a moment i would like to blame goverment for allowing the australasian cartel ensured by the AS/NZS standards,extensively used in the building codes. It was convenient but they could have added american and european codes with some safety. A simple alteration but they havent bothered. I'm not quite sure what the obsession is with not using some of the international standards. Some of the standards from overseas don't make sense, others make a lot of sense technically. It's bad enough that the standards committees get so bogged down depending on the members of the committee. Only MBIE could answer what the problem is, even then I'm not sure anyone at MBIE is clear on why this is. I believe we copied our timber frame construction from the americans and their Building Science is way better funded than ours. And I say that because the british tradition was block or brick as i understand it. There is no excuse for rejecting the american standards. And before some says its the earthquakes please think about San Francisco. A lot of our early villas and houses were built using the same plans as the San Francisco re-build. I'd like to be able to import one of the Scandinavian timber pre-fabs. I'll bet there are some good quality Japanese pre-fabs that'd more than pass our earthquake standards, too. There is no doubt that the local heavyweights have been pricing of their building products as high as the market can withstand. Even they would not deny that. But whereas it is known that NZ is a distance from its export product markets, it is also a distance from its foreign suppliers too. Consequentially, importing building materials will be quite costly and they will not be imported for charity. They will only be imported if they do not crash the price of building materials. It is not in their interest to do so. So, I suspect that when importers get their certification up to scratch, do not expect dramatic price drops. The only thing we can expect is choice. They will manage the price but they could compete on quality. Our standards, which are not noteably high, would be open to challenge. cladding debacle that is leading to litigation. Agreed. Some years ago I work as the R&D manager for a local safety equipment company. I learned that the owner was pricing the product on what he thought the market would bear. we lost a couple of contracts due to his attitude. i also asked if he actually knew how much it cost to make our products. He didn't want to get into that. I also challenged him on his testing. ultimately i was able to prove our product met the standards we made them to, but through this I learnt that the owner would cheat the system anyway he could, if he thought he could get away with it. Ultimately i left because of his attitude. It doesn't matter because it will be cheaper for builders and developers to import their own materials directly. I am not exaggerating. It is already the case that many retail and consumer goods can be obtained at literally half the cost by purchasing and flying out individual items from the US or Europe. Even if hit with GST and the now lower NZD, you're still better off in many many cases - just by avoiding the local rip-off merchants. If local builders and developers have the option to source more fairly priced materials overseas, you will see a pass-on gain as the smart ones use that to price-compete while also padding their own margins. The example of glass and pre-fab windows in the article is a good one. Even small surface shipments would be economical and I'm sure such imports would easily undercut local suppliers. It just so happens that I have done a NZS4211 window test on timber joinery recently and have been looking at the aluminium window industry as part of my preparations. In my opinion, for what it's worth, whatever windows you import from US or Asia MAY be a little cheaper. However, that would not solve the big problem of product quality lacking generally, and particularly in the volume end. The same or similar design in whatever material, is just about guaranteed to perform just as poorly as the local product. It just takes off maybe 5-10% off the local price, and likely no recourse for the end users who may have an issue in just a few years time. The real issue is political... as mentioned by others here. In the end though, all this article does, is to whitewash the TPP by using a local major issue and dangling a rotten carrot in front of people. But it won't address real long term domestic issues. Do you think it would be technically hard to manufacture for the US market? No, why would it? If you decide that you want to export to any given country, and expect to be successful long term, you better get over there, learn for a year or two what is produced there and how, and then work out if you can compete with your NZ manufactured product. But I don't know if it will be an economic success. Personally, I doubt it. But that wasn't your question really, was it? I was thinking about the differences between standards in various countries. Sounds like the europeans are satisfying multiple standards so we should be able to adopt the same multiple standards, just thinking vaguely. I guess moisture in the cavity is a problem where ever you are. This is interesting Chris... I'm due to commence a 6 unit apartment development, and have been looking closely at importing various components... windows/joinery among them. I have met with (and inspected the factory of) a supplier who supplied all the windows for the B1 Tower in Paramatta, Sydney (and I've been through the tower). There quote for a similar product (I'm actually likely to purchase a higher spec 'true thermally broken' product) is USD $48 000. With $3 000 shipping, 5% import duty (think it's still 5% but dropping again soon) and 15% GST, we're at $92 000... a 35% saving (not 5% as you suggest). You wouldn't bother on a single 'stand alone' dwelling, saving $6-8k wouldn't be worth the 'hassle'... but on a project like this it adds up, and though there will be some problems (though there could be with a local supplier also), I think it's worth a shot. I also wonder where there are opportunities for people to set up importing businesses from larger/lower cost offshore manufacturers... you could resolve most manufacturing problems with a 1-2 man team operating out of a double garage. Do you mind if I ask which country you plan to import joinery from? And just a few more things from my recent 3-4 year building industry experience, and after that I will probably not have much time to comment, unfortunately. While out on the road talking to many cabinetmakers, joineries and installers... many stories from different people about imported cabinetry and fittings being the worst they have ever seen. Drill into panels of kitchen cabinets and find rubbish, sheetmetal parts as large as half an oven tray, and every time they drill or cut holes their eyes water from the sharp chemicals/glues and the smell emanating from the board being barely tolerable, right through to metal hardware parts being rusty under surface coatings if you happen to try and adjust something a couple of times. The biggest NZ serviced apartment/hotel chain told me they don't use local suppliers anymore, too expensive! Asked about product quality and backup, they say who cares, we import twice as many units than we need, and put large rubbish bins at bottom of building while fittings go in. Even if half of it falls apart before it can be screwed to the wall, out the window and into the bin it goes. It is still half the cost of local suppliers! I am not kidding... and that attitude is providing the kind of efficient, cheap, but "high quality" products we want in this country? Next story is the hotel developer who decides the 3 biggest construction firms are ripping him off and goes to India to buy steel structure for his next major Auckland hotel conversion. What do you know? Council finds on inspection of steel erected that it is well under local specs required in critical areas, so off the building it needs to come... and the site has been stopped for nearly a year. And it seemed like such a bargain... BUT, that is just my humble feedback and opinion. Everyone makes their choice about what is important and what is economic. Oh, and by the way, if you are interested to find out what a 'true thermally broken' aluminium window cross section looks like, travel to europe and visit some leading brands there. If you are serious about building something that will last 100 years or more, I am happy to point you to one or two material suppliers and happy to send you to a european building science engineer who really knows his stuff. I can promise you that with about 4-6 hours invested into talking to the right 2-3 people, you might rethink everything you planned. Or, you just build it and flick it eventually to make a buck on capital gains, like everyone else. Good luck with your venture anyway. As the owner of an intellectual property that I am trying to commercialise, and that faces compliance hurdles, I feel I can add quality to this discussion. The first thing to understand is that compliance costs, it is an additional cost that an inventor must bear on top of other R&D outlays. So compliance is a barrier to entry, a huge flaw in our apparently advanced society that is forcing it to become self limiting. The commercialisation of a new technology faces the technology adoption curve, a significant barrier to recouping the capital outlay. In my instance I have done something that no one writing compliance tests conceived could be done. It wasn't, and still isn't considered. I have tried for 5 years to get a test written by the relevant ministry in New Zealand. They told me to take it to another country more open to new technology. But the same lack of foresight, and wilful lack of willingness to encompass new solutions, exists all around the world. Lastly, I have solved a problem that governments, central and local, throw millions at trying to solve. They claim there are significant losses of production that amount to many times the cost of my technology going into every affected home. There is a serious disconnect in the system somewhere. Have you considered putting your proposal to crowd funding? Build and test a prototype. Oh I do sell my technology, I found the loophole for that. By actually launching the product on the market I excluded myself from all sorts of business help though. So crowdfunding becomes a case of "what exactly am I funding for". But it is on my radar. One thing to be clear on though is that crowdfunding is a marketing campaign in its own right. ..when are we going to give us a hint scarfie....i have read your mentions of this before...im very curious to what you are up to? Haha, I keep it off here because there are too many crackpots. But also because I am sometimes provocative and contentious, which I would rather keep separate from my business activity. There are a handful that have found me though, and know what I do. David isn't a messaging service, but will consider forwarding on requests to communicate privately. IF only more NZders were into developing IP...... instead of the unproductive PI ! And a government that actually supported and encouraged this more would be great also. nah... easier to just invest in houses and blame John Key for everything. Utopia. It's a good challenge for you Rastus - he has given enough clues over the years for you to figure it out. ...enough for a vague idea, probably plenty of clues for someone who is not as ignorant as I am. Some more clues below it might seem? My ignorance aside, this scarfie comes acros as someone who knows what he's up to...as vague as he is. Would love to follow his progress.. I'll have to make do with the Kardashians instead. I thought the primary purpose of regulations was to prevent competition, but, then what do I know? Micro grid tied plug & play inverters. Banned in 2012 because they make DIY PV solar way too easy. Cannabis. Only legal options being considered are for the big Pharma drug companies to profit off. Organic Unpasteurised Milks from farm gate machines etc. All new H&S regs brought in to kill the growing trend. Well if I am upto the task, I plan on innovating my way past the regulations. Given the new inventive step I have made, I could take up to half the regulated market with my unregulated design. I say this because the regulated products were a solution to the inefficiency of the original unregulated (and ancient) method. Now I have fixed up the ancient method to be as good as the regulated product I expect a swing back to it. Prototype is going into a New Mexico home before their winter. Funny story for you. One of my sources of farmgate milk has excluded any inspector for H&S by putting a sign at the gate excluding visitors from the farm until they receive a safety brief of all the hazards. Lol. So scarfie, you have your patent or patent pending? Or you not bothering, just getting it out there quick? As a designer I'm familiar with the process. Does our government like and promote competition? News to me. without admitting that it is usually the case that a CAB is not necessary and that manufacturers may self-certify. So while it's a good example of certification outfit waffle, CE is not really the barrier to trade one might assume. Biggest barrier to cheap US drywall and timber is the fact they are imperial - we are metric. Nothing going to change there soon. Simply not an option to mix as stud spacings, window openings etc just don't allow mix and match. Yes it is an impediment but our 13 mm standard is only 0.5 mm away from the 12.5 or imperial half inch. I suspect at some stage the production machinery wasnt changed, just our measurement system. Also the 1200 nominal is 1215 or 48 inches, roughly speaking. But yes, i admit its difficult. For somebody renovating an old house that was built in Imperial, that could be an advantage rather than a problem. I dont know how deep the metrication smoke and mirrors goes. But it pays to get a tape measure out. Vive la france..long live the king.. Bit lacking in detail but interesting concept if it takes off. "Another step forward in the field comes via Dubai, where what's hailed as the world's first 3D-printed office was recently completed. Taking up a footprint of 250 sq m (2,690 sq ft), the building is located within Dubai's Emirates Towers complex and will serve as a fully-functional office. We don't know the budget for the project, but the Dubai government says that the labor cost came in at half of what it would be for a building of similar size made using traditional methods. The workforce included a single staff member monitoring the printer's progress, seven people to install the building components, and 10 electricians and other specialists to handle more technical issues, such as installing the building's electrical systems, for example. It took 17 days to print the basic building, but it then required finishing both internally and externally. Though not detailed by the source, it seems that, like WinSun's 3D-printed homes, the building was printed in sections elsewhere before being assembled over two days on-site." Having just been getting into 3D printing and electronics in the last few months I think the potential is indeed simply huge. However 3D printing technology is still very much a first mover / techie DIY grade item today. Printer prices are dropping, especially as you can print much of another 3d printer from the first one. Not just manufacturing but retail and services as well. One of the obvious over-pricing is spare parts, who needs $100 plastic part and a 3 week wait for the part if you can make your own overnight? Or even the NZ distributor no longer has to wait for a part shipped in (and the tax complications of it), just print a new one. Want new items? choose from thousands on thingiverse and off you go. Who then needs retails stores? What about tax? what happens to the Governments GST take? Now instead of taxing a $200 item they get to get the $50 roll of filament and maybe $20 in electronics (see below), ouch. Then there is the world of cheap electronics hidden from us by expensive marketing. eg a $6NZ arduino can control a massive amount of hardware, combine that with a 3d printer, wifi units for $3 and oh boy. One of the interesting ones is also 3d printing food, want a one off birthday cake? surprisingly easy with a 3d printer and the right heads. 3D engine parts seem to be hitting the shelves so the tech is progressing fast. 3D pringing will be great in the 3rd world to circumvent corrupt customs officials. I wonder if it will catch fire as easily as other Dubai buildings have? I dont think it will boost competition as a) our market is so small there is no volume to compete for. b) vendors have figured out that they can make MSRP stick, ie its one huge monopoly. Meanwhile I'll buy more and more from abroad because despite having to pay freight and maybe GST I still save enough for the effort/risk.